Drawing on recently declassified material from Stalin's personal archive in Moscow, this is the first attempt by scholars to systematically analyze the way Stalin interpreted and envisioned his world-both the Soviet system he was trying to build and its wider international context. Since Stalin rarely left his offices and perceived the world largely through the prism of verbal and written reports, meetings, articles, letters, and books, a comprehensive analysis of these materials provides a unique and valuable opportunity to study his way of thinking and his interaction with the outside world. 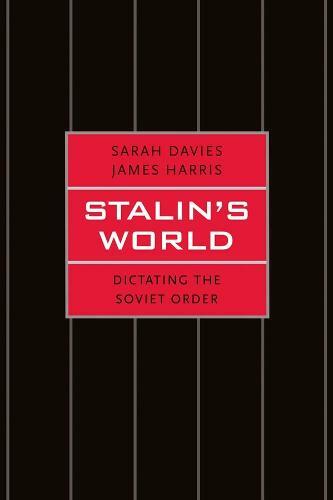 Comparing the materials that Stalin read from week to week with the decisions that he subsequently shaped, Sarah Davies and James Harris show not only how Stalin perceived the world but also how he misperceived it. After considering the often far-reaching consequences of those misperceptions, they investigate Stalin's contribution to the production and regulation of official verbal discourse in a system in which huge political importance was attached to the correct use of words and phrases..